Serving: Victoria, Chanhassen, Chaska, Waconia and Surrounding Twin Cities area. Please fill out the form below to have Cindy contact you with more information. Prominence Photography: We believe in YOU! This means we believe in capturing every significant moment in our life and yours through photography. This can be your wedding, your child’s birth, one year old pictures and any age related pictures such as newborn and graduating senior. We believe that Portrait Photography is important in all stages of life. We also believe in doing your portraits in ‘your style’, ‘ your way’ and ‘your personality’ not ours. Capturing a portrait image is all about capturing the inner most being of each and every person through that experience. 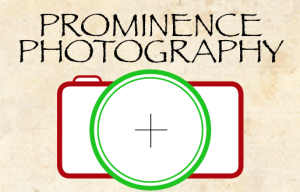 Prominence Photography strives to succeed in this. Our love for natural expressions will show through in our portraiture. Welcome to the Prominence Photography family and we look forward in taking care of you like one of our own children. All my customers have enjoyed the quality of care that we take in each and every session that they have had with us. Are you looking to get Engagement Photos taken?